This happens to me... Every year. I move a few things around to make room for my Christmas tree and I end up really liking the new setup. The only problem with this is that it leaves a hole. Now I needed a table. Typically I know someone looking to get rid of one I can revamp but this year that wasn't the case. After looking at the hole for more than 24 hours I decided it was time to go visit Miss Ana White. You may remember her site from Ashley's entertainment center. I remember stumbling upon Ana's blog when she had about 100 followers. I immediately thought... This gal is going to be big. I was right... She's huge! 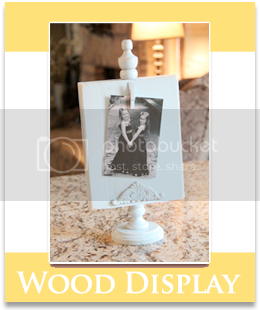 She offers free plans to create your own furniture that is very similar to what you can find at PB and other stores. I have never built from her site before but I was ready to give it a go. 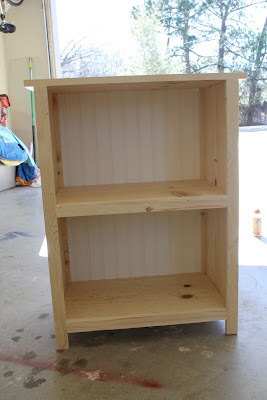 I found her plan for a simple bookcase and knew it would be perfect with baskets for the space I am trying to fill. I will tell you how I made mine... I basically copied her plan exactly. I cut my pieces to the sizes she specified on the plans. I started by making the box. I drew a line the width of a 1x2 to mark where I would attach my bottom shelf. 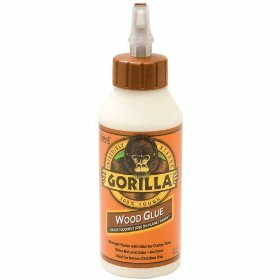 I used Gorilla Wood Glue to assemble this and it worked perfectly. Just add a line to your side piece and attach your bottom shelf first. 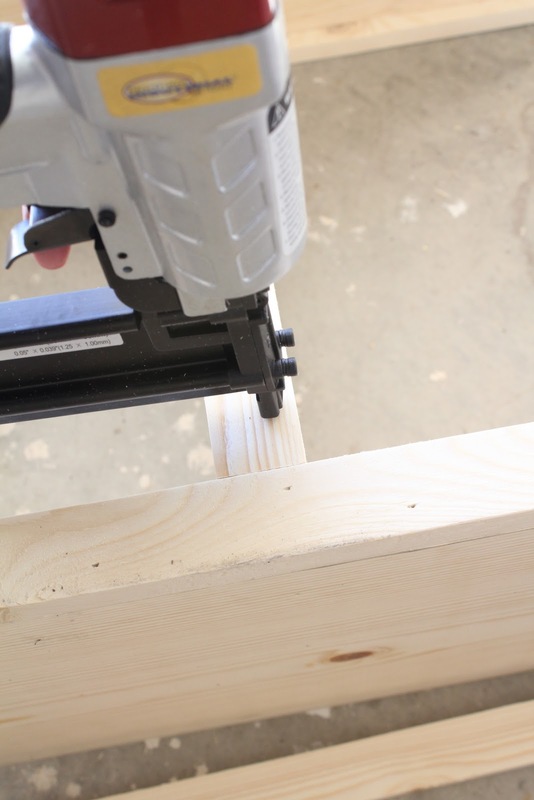 This was my first experience with my new brad nailer. 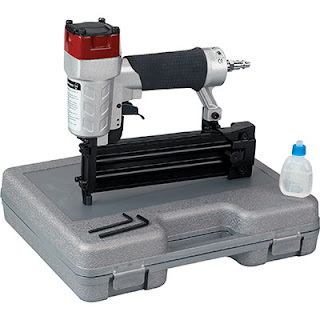 I purchased mine super cheap at Northern Tool. I LOVE it. It makes me want to put a nail in everything... for real. 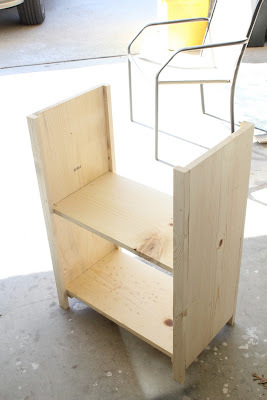 I nailed the first shelf in place and then attached the other side using the same method. 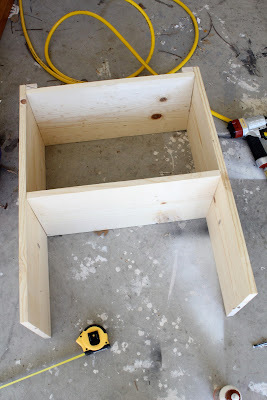 I added a line of Gorilla Wood Glue to each side of my middle shelf and positioned it inside my box. I used my brad nailer to attach the sides to the shelf. Now I was ready for my leg pieces. I cut the pieces according to Ana's plan and used a line of glue and my brad nailer to attach the each piece. Here is the base of the leg. 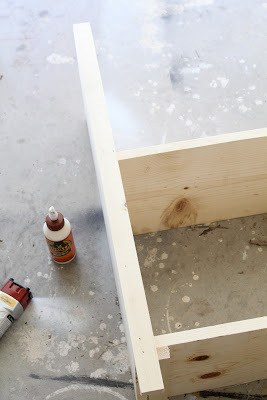 I measured the space between the legs and used glue and my nail gun to attach the trim. After adding all 4 trim pieces I attached my top. 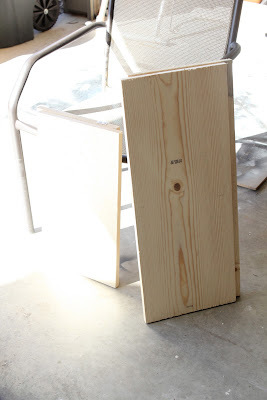 I cut my 1x12 according to Ana's plan and used the glue and nail gun again to attach it. Ana's plans call for plywood I think but I opted for the bead board wainscoting because I like the look so much better. It dresses it up a bit. I cut it and attached it with glue and the nail gun. This is where I was supposed to be finished. I thought it was perfect but missing just a little something. 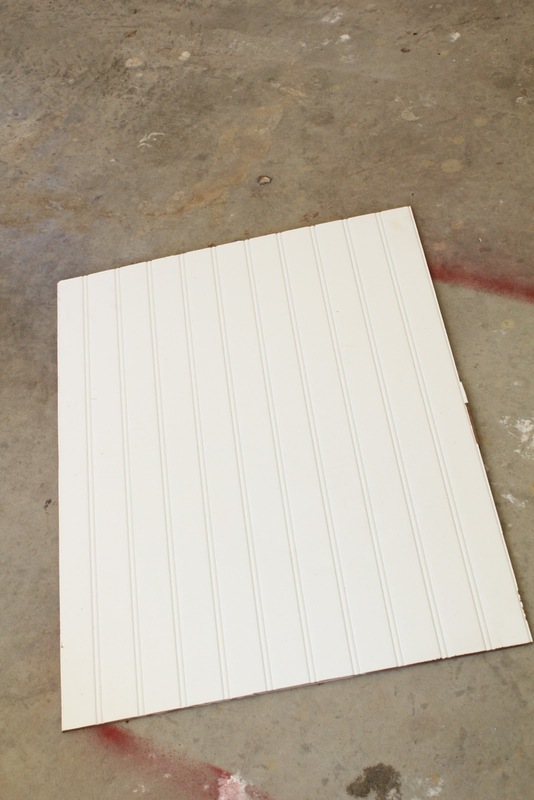 I had some leftover trim from a previous project in my scrap pile. I thought it would look perfect on my new little table. I cut with my saw and attached it with glue and the nail gun. So cute... Right?? My last step was to caulk all my nail holes. I let the caulk dry and then sanded the whole thing before I painted it. Want to see it all finished?? Me too... But I only managed to get one coat on today so I will share that with you tomorrow! I think you will love it. ~ I will never build without my brad nailer again. I seriously finished this baby in less than a couple hours and that is why. 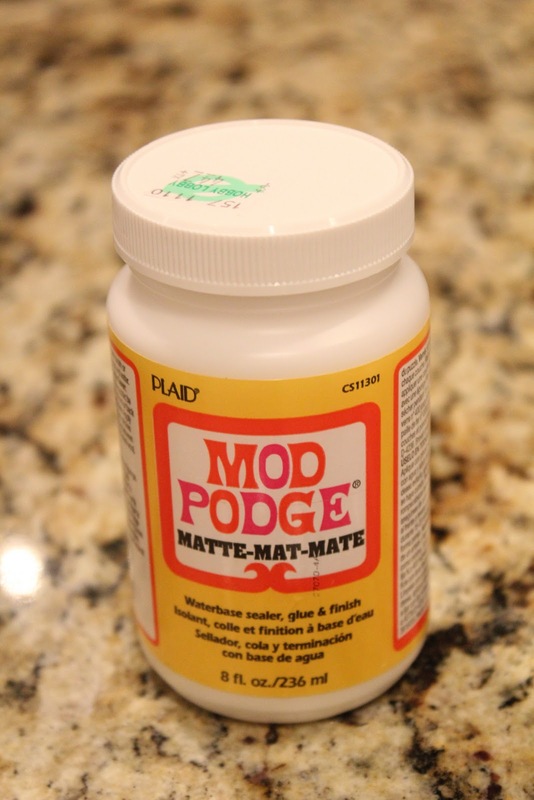 It's an inexpensive "must" for those of you looking to build. I LOVE it. ~ Your cuts must be perfect for everything to look good. 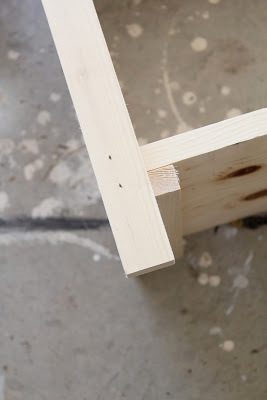 If you have Lowe's or Home Depot cut your pieces make sure to measure them before leaving the store! ~It really is soooo easy and fun! I think using the tools makes it so much easier so borrow your hubby's if you need to! Hope that helps!! I will be back tomorrow with it all finished up. I can't wait to show you guys. I just wanted to let you guys in on a GREAT sale Silhouette is running for the Shanty readers!! From now until January 1st you can purchase this awesome machine for only $175 with a monthly subscription to their online store where you can find THOUSANDS of shapes and designs!! That's almost half off!! All you have to do is use the code SHANTY at checkout!! The Silhouette doesn't use cartridges like other machines! Instead, they have an online store where you easily search for your design and download for only $.99 a piece! That saves time, storage space and some serious money!! Now here is the great deal about the subscription and why it is the only way to go!! The subscriptions make your downloads more than half off! You get a LOT more bang for your buck!! Those are just a few with MANY more to come... I LOVE this machine! at checkout to get this fantastic deal!! Hope you are all having a great Christmas week. I have been more than busy getting gifts finished up because I am always last minute like that. One thing I wanted to get for my baby sister were these jars I found at Wal-Mart. I love everything about them! I love how simple they are, the silver tops and best of all I love their price!! I bought all 3 for $15. 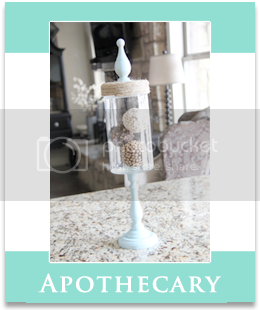 I have some just like it in my kitchen that I use as cookie and snack jars. I also knew that I could cute them up a bit with my Silhouette Machine!! I started by using some White Silhouette Vinyl to cut these super cute House of 3 Artisan Labels. 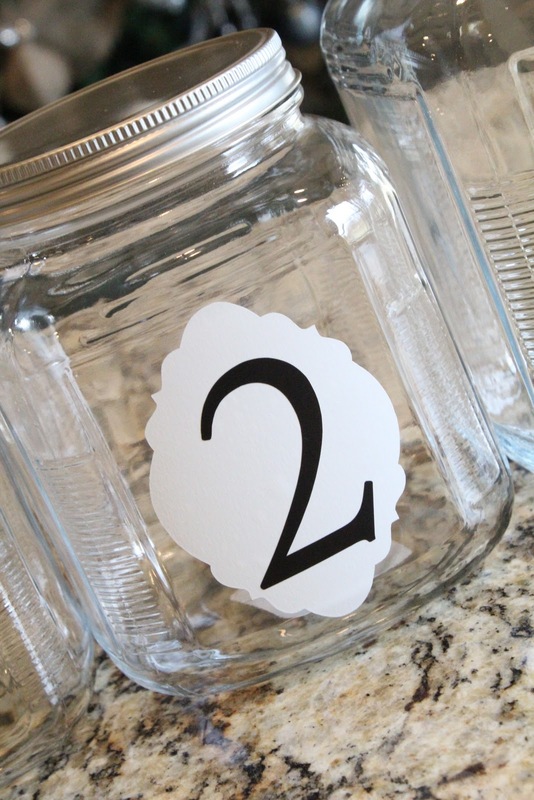 I measured each jar and sized the labels using the software to fit each jar. 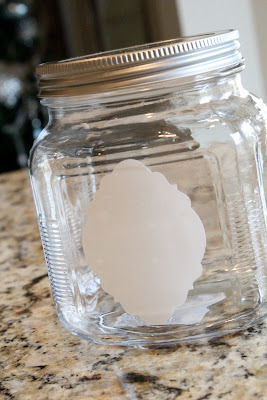 After the machine cut them out I attached them to each jar! Next I used some Black Silhouette Vinyl for my numbers. I sized each number to fit each label and cut them out. 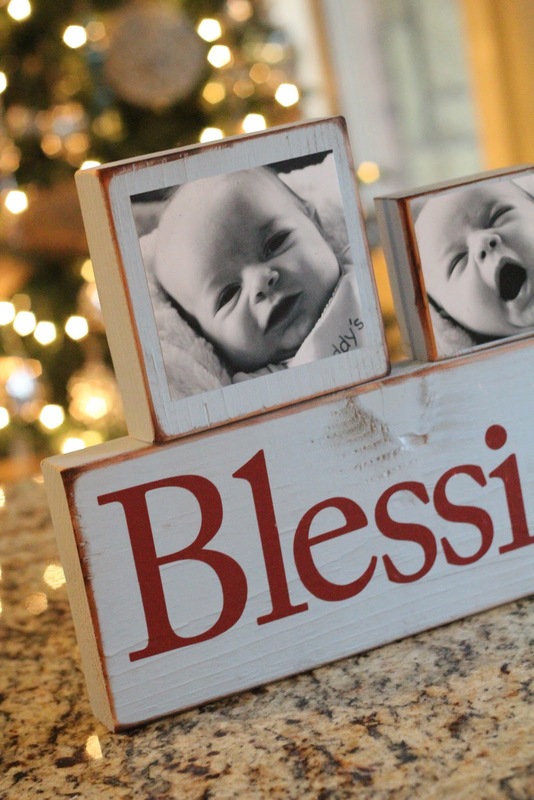 I used the same font I used on my Blessings Photo Blocks which is Adobe Caslon Pro. After the Silhouette Machine cut them out I peeled them and attached them to the labels. Pretty simple, right? But I think it adds so much to them and I love them! I also used my Silhouette Machine to make her some photo blocks of my new baby niece. I love how they turned out! Don't you love the Red Silhouette Vinyl on the blue? If you want the full tutorial on those click HERE! Thanks so much for stopping by! I hope you all have a great Christmas Eve and Christmas. Don't forget to check out the Silhouette Machine and see all great things this baby does! You will not be disappointed!! God always has a plan and purpose. We may not understand His plans, but they are perfect. My name is Sarah Erwin. My husband, Chet, and I were blessed with the life of our first child this year; Holden Newell Erwin was born on August 28, 2010. He had already gone to be with Jesus before he was born, but his little life has changed ours forever. I “met” Whitney through a rather unconventional, unpleasant circumstance, but I am so grateful for the opportunity to connect. As you all know, Whitney and her blog are simply inspiring. I don’t need to tell you that. For the past 3 ½ months, we have been through more pain than we knew existed. But we have also been given more hope than we knew possible. Through the help of several friends, we have recently set up a non-profit project called Holden Uganda. We have always been passionate about the dire water situation in Africa, so this is a blessing beyond words. Through the Lord working in the precious life of our son, we are able to provide clean drinking water to the Ugandan people. Please take a moment to visit www.holdenuganda.org to learn more. I am honored more than words that Whitney has allowed us to share our story on Shanty2Chic! Beauty will rise through ashes. 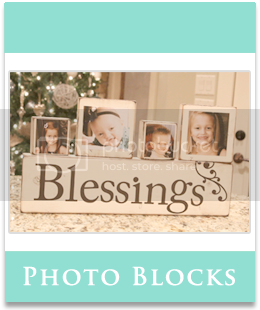 Photo Block Tutorial ~ Great Gift!! 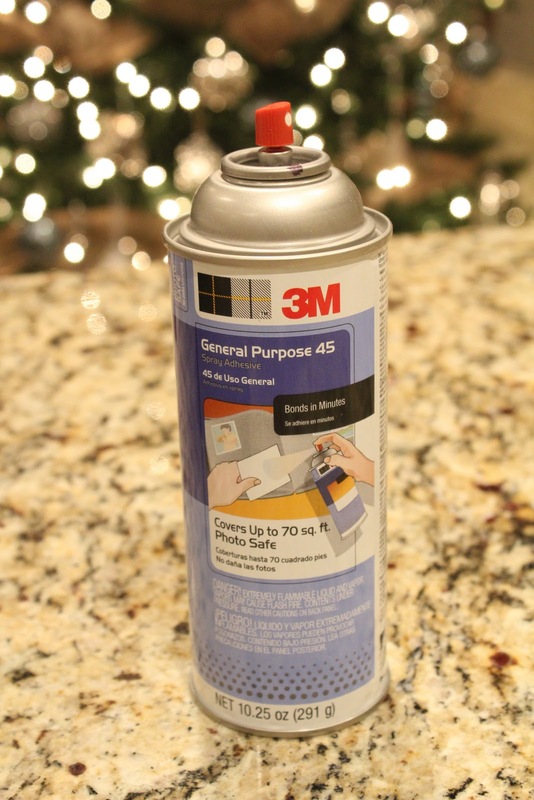 We are gearing up to spend Christmas with my in-laws. I love spending Christmas with them. They are the most creative people I know and I hardly ever make them anything... Why make them something that I know they could make better :))?? I started with my wood. I purchased a 2x4x8 and a 2x6x8 from Lowe's. You could just stick with one size but I liked the variation. I cut my wood using my saw into squares. Since the 2x4x8 is actually 3.5" wide I cut each those 3.5". The 2x6x8 is actually 5.5" so I cut those 5.5". 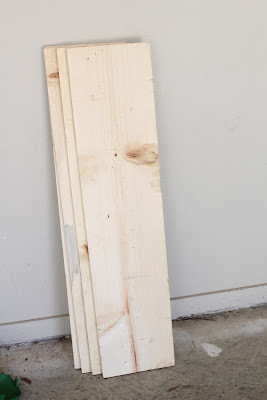 I also cut a long piece of the 2x6 about 20" long. After spraying each of the blocks and letting them dry I used an 80 grit sanding block on the edges to shanty it up a bit. And then used an old t-shirt to wipe all of my excess off. This left my edges perfectly shanty. Here they are ready for my next step! I used a trimmer to cut my pictures down to size. 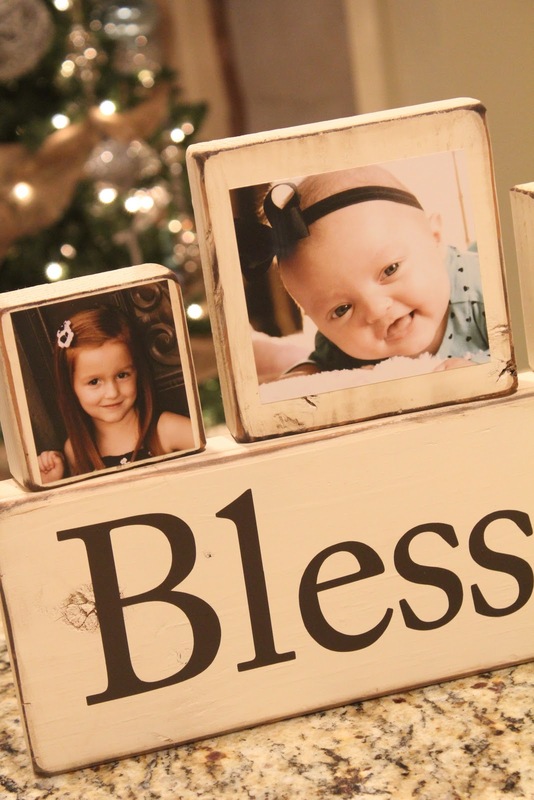 For my little blocks I do 4x6 photos and my larger ones I like to use 5x7 but I only had 4x6 so I used those for this project. I cut each picture about 1/2" smaller than the blocks. I then used some 3M photo safe spray adhesive to attach my photos to my blocks. This stuff is great! 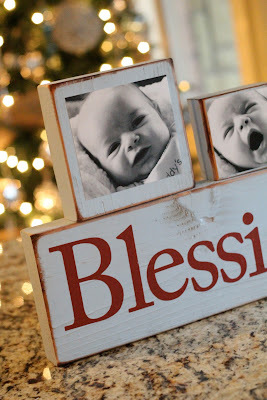 You can leave your blocks like that or add a little Mod Podge like I did. 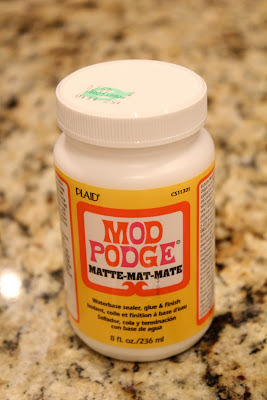 I like to use Matte Mod Podge. I used a paint brush to put a thin layer over each block. I only did the side with the picture. 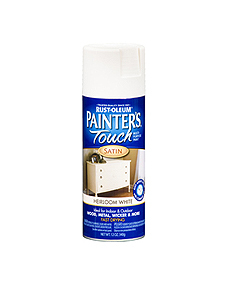 It goes on white and dries clear. Now I used my very favorite new tool for my next step! I know I have shown you lots of things my Silhouette Machine can do. Here is another! I used Silhouette's Brown Vinyl to cut out the word Blessings on my machine. Here is what my computer looked like. I spaced the letters to get the most letters in the smallest space. And attached them to my wood block. Cute... But missing a little something! So I added a scrolly! After my photo blocks were all dry I stacked them on top and took a picture for you guys! Another fun thing is that you can arrange the blocks however you want. 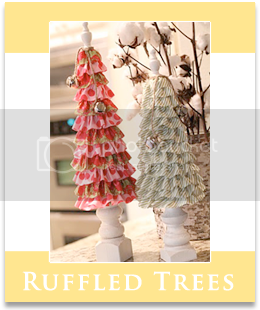 That makes them perfect for a fickle decorator like myself! Hope you liked them!! These were so fun to make!! I can't wait to make some for myself that I don't have to wrap up. I am excited to see their reaction when they receive it though.